Come home to comfortable outdoor living. 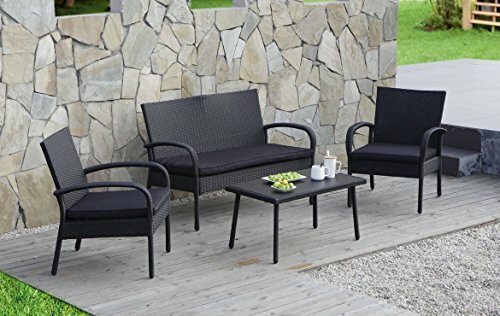 Your patio is one of the first things that guests notice when they visit your home, so it’s important for your outdoor furniture to have a comfortable and inviting vibe. 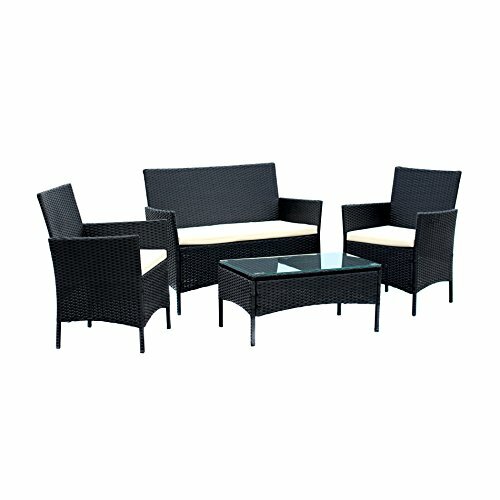 The Carlota 4 piece outdoor furniture set lets you, your family and guests forget all about the rest of the world and relax in style. 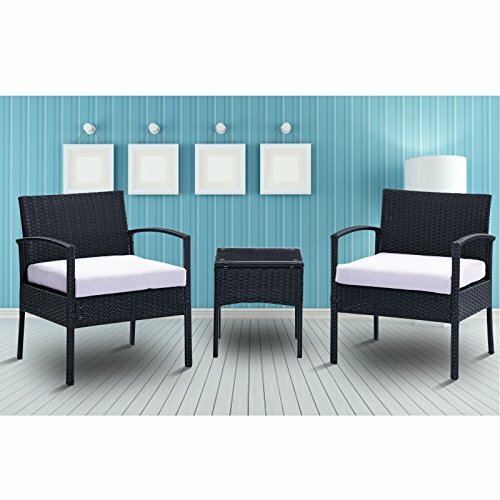 This visually-appealing all-weather patio furniture wicker set combines comfort and elegance with high-performance craftsmanship on an outdoor wicker patio furniture. Luxurious look, durable construction. 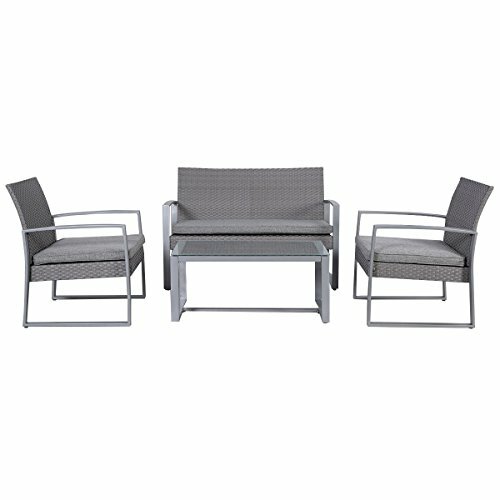 Designed to last, the Carlota 4-piece patio set features polyethylene wicker rattan weave on top of rust-resistant aluminum frames. Included in the set is a double sofa (W 46.06″ x D 26.77″ x H 31.49″), 2 chairs (W 23.60″ x D 26.77″ x H31.49″ each) and a coffee table (W 31.49″ x D 18.50″ x H 17.75″). 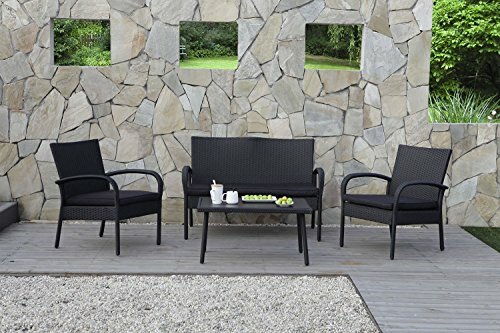 Durable 100% polyester fiber foam fills fade-resistant acrylic upholstery, ensuring comfort while maintaining their original shape. 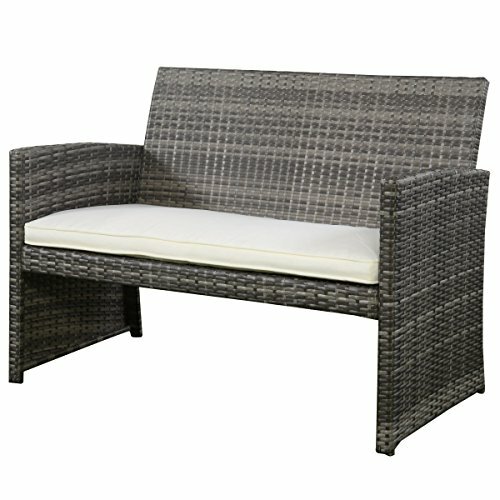 Cushions are detachable for seasonal storage and the entire set is cleaned easily with just a damp cloth. The coffee table have a black silk printed tempered glass. Light assembly is required, with all hardware and assembly tool included with easy-to-follow instructions. All furniture arrives in one carton, which measures 45.28″ x 23.62″ x 12.8″. Its’ gross weight is 66.08 pounds. Yours to try risk-free. Set the stage for outdoor living at its finest. 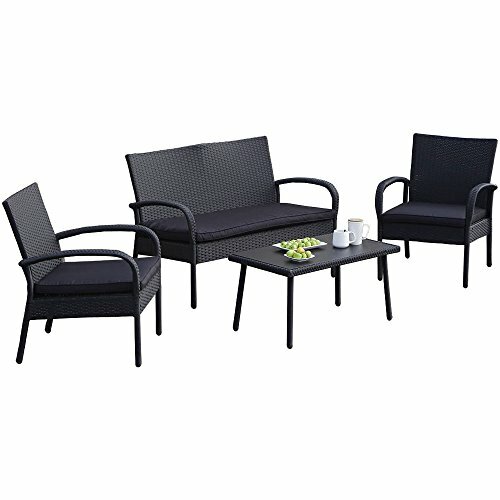 Enhance your outdoor living space quickly and easily with the addition of this stylish and comfortable furniture set. 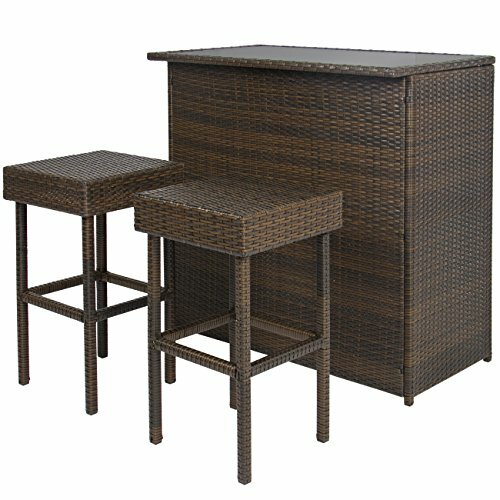 Made of resilient black wicker, this 4-piece set arrives disassembled but includes all necessary hardware, instructions and tools. 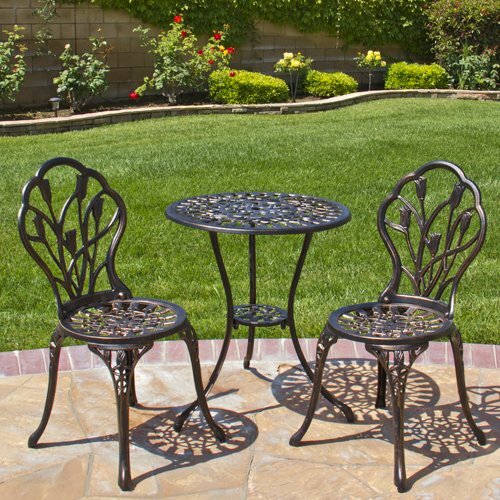 Black cushion shells are easily maintained by wiping clean with a damp cloth. Dense batting consists of 100% polyester fiber foam. Gross carton weight is 66.08 lb.